A long while back I wrote about The Last Voyage of the Demeter, an upcoming film which tells the dark and bloodied tale of the dreaded ship in Bram Stokerâs Dracula. Since I havenât heard anything on the project I thought Iâd look into it and see if thereâs anything new to report, but unfortunately the only bit of new info is that Jude Law has been cast in the movie, thatâs it. However, while looking for news I did discover something awesome â a comic! 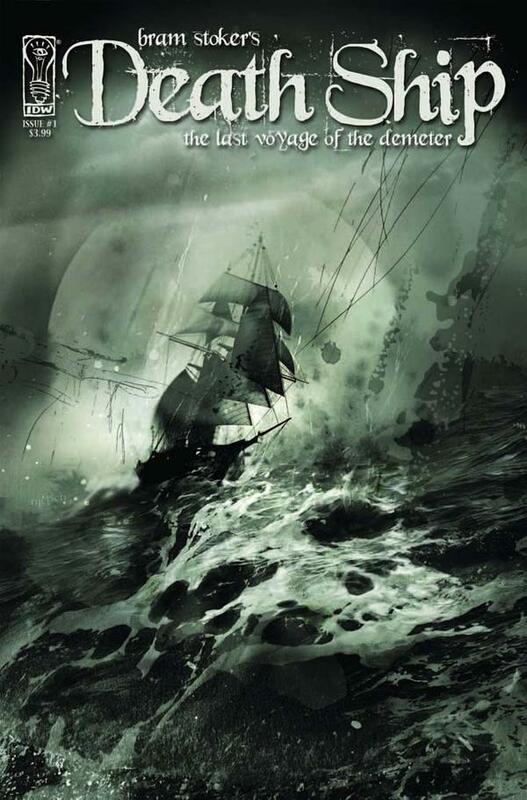 A graphic novel titled Bram Stokerâs Death Ship: The Last Voyage of the Demeter was published last year by IDW and since it has the same exact title and description as the film I think itâs safe to assume the two are connected to one another. The 104 page comic was written by Gary Gerani, with inside art done by Stuart Sayger and cover art by Cliff Nielsen. Itâs strange how both the comic and the film are identical, yet thereâs no news tying to two together. Weird. Either way, they sound awesome. Iâll definitely be checking out this comic and Iâll be watching the film the moment itâs in theaters. What do you guys think? Will you be checking out either of them? I listened to a radio production called “Last Voyage of the Demeter” some years ago, sounds like this.